Inspired by the Art Deco style, the Frameless Deco Wall Mirror is the perfect piece to breathe life into your home decor. 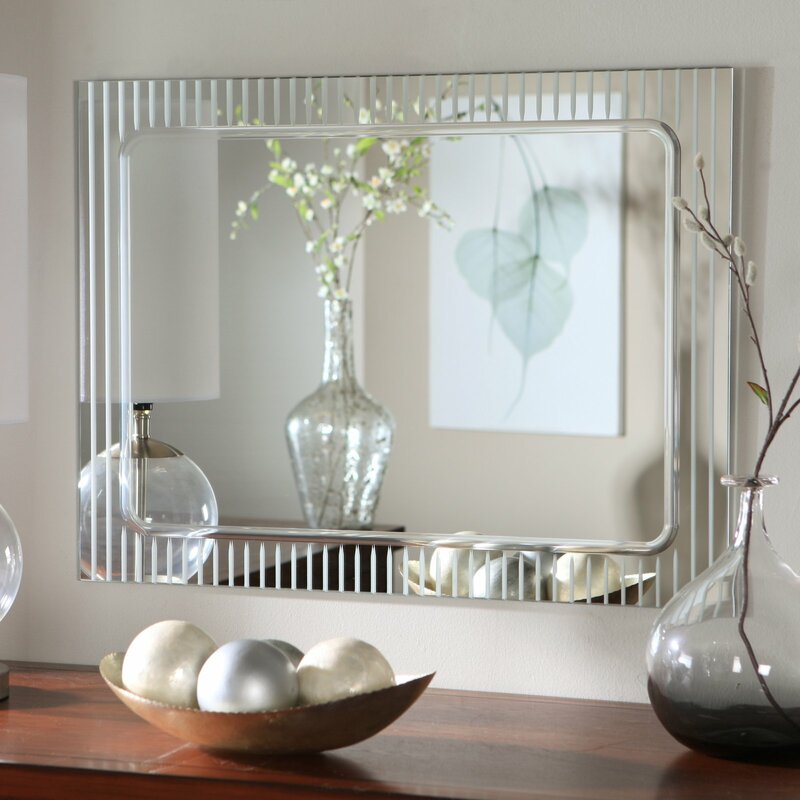 This attractive and sophisticated rectangular mirror is sure to add elegance to any wall in your home. Constructed of metal and strong 3/16 glass, it features V-grooved cut designs around the border that add a unique element to the mirror. Mounting hardware is included with the mirror. Weighs 14 pounds. Dimensions: 31.5L x 23.5W x .5D inches. The detail in this mirror is perfect for an updated bathroom. I put it in a renovated hall bath and it looks gorgeous! Lots of compliments already. Home territory searches the web to find the best prices and availability on Wall Mirrors and related products foir your home like Décor Wonderland Frameless Deco Wall Mirror 23.5W x 31.5H in.. For this page, related items include products we find that match the following keywords: "Wall Mirror" at our vendor partner Walmart - Click More Info / Buy Now to check for price rollbacks!. Décor Wonderland Frameless Deco Wall Mirror 23.5W x 31.5H in. is one of 50 Wall Mirrors and related products available for sale through HomeTerritory.com, If you have any questions on this product, please give us a call at 734-971-1210 during the hours of 9am - 5pm EST for assistance. Thank you for shopping at Home Territory, the home furnishings superstore!